Did you know that every year more than 3 lakh students travel overseas for undergraduate courses? According to a recent Economic Times report, many of those students are from the Arts stream. Many arts students (and their parents) believe they have limited career opportunities in India and the only way they can land a job after college is by earning a degree from a foreign university. That is, however, far from the truth. In fact, the arts discipline offers the most diverse range of career choices to students. Here are the top five career options after 12th Arts. Management is by far the most popular career option after 10+2, mainly because it accepts students from any discipline, be it arts, commerce or science. Courses you can join after your 10+2 include Bachelor of Business Administration (BBA), Bachelor of Management Studies (BMS) and Bachelor of Business Management (BBM). Depending on your individual preferences, you can seek specialization in human resources, marketing, operations, finance or supply chain management, among others. Although you can easily find a job with a bachelor’s degree in management, it is always a good idea to complete your master’s degree for better opportunities. The exponential growth of the Indian media over the last decade has propelled many arts students to build a career in journalism. The sheer escalation in the number of news channels in the country is proof enough! At present, there are more than 700 news channels in India and many more continue to make their foray into this space with every passing day. Once you complete your course in mass communication and journalism, finding a suitable job should not be a problem. However, to excel in this field, you should have strong language and public speaking skills. Many arts students plan a career in teaching, but most of them are not fully aware of the different ways to enter into this profession. For instance, many students think they must complete a Bachelor of Education (B.Ed) course after graduation to be eligible to apply for teaching jobs in India. While this is true for those who want to be a teacher in a secondary school (Standards IX and X), you don’t need a bachelor’s degree to teach in nursery or primary schools in India. If you secure 50 percent marks in your 10+2 exam, you can enrol in either a Nursery Teacher Training (NTT) course or a Bachelor of Elementary Education (B.EL.ED) course. After completion of the course, you can apply for a teaching job in nursery or primary schools in India. Alternatively, you can continue your studies and prepare yourself to become a teacher in secondary/senior secondary schools or colleges and universities in India. Animation and multimedia is one of the fastest emerging career choices in India. Although you do not need any formal qualification to enter into this field, completing a course surely helps you land the first job more quickly. After 10+2, you can join either a degree or a diploma course on the subject. A course in multimedia incorporates several streams, including game design, product design, visual designing, and graphic designing. You can choose one that interests you and pursue it further. A degree is any-day better than a short-term diploma course. After the course, you can become a professional animator, graphic designer, video editor, sketcher or even a movie maker. Remember, however, that you need to continually update your skills to stay valuable in the marketplace. Fashion designing is another popular career option that offers a plenty of opportunities. 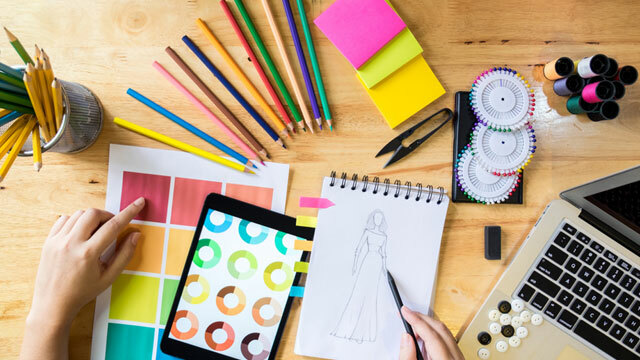 Starting a career in fashion designing becomes easier if you can complete a course after your 12th arts from one of the top fashion designing institutes in India, such as, National Institute of Fashion Technology and Pearl Academy. Some institutes even offer merit-based scholarships to some students. To excel in this career, you should have excellent aesthetic sense, knowledge of fashion trends and an eye for detail. Apart from the above career choices, there are also some off-the-beaten-track options for the arts students after their 10+2. For instance, you can consider doing a diploma in hotel management or event management, learn a foreign language or consider building a career in digital marketing. I completely agree that art is one of the few field to open a lot of possibilities for professional career choices. One could pursue hotel management or could take up journalism or get into the field of advertising by enrolling in the field of art subject.